Every weekday morning is rush morning for me. Getting kids ready for school bus on-time is not less than driving a race car for me! I need a good breakfast to keep me going on that race track, obviously I have no time for that. 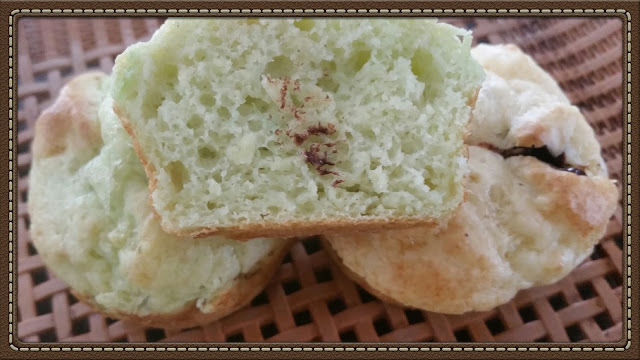 My breakfast not only need to be quick recipe, but also needs to be healthy. I can not munch on junk food in morning. 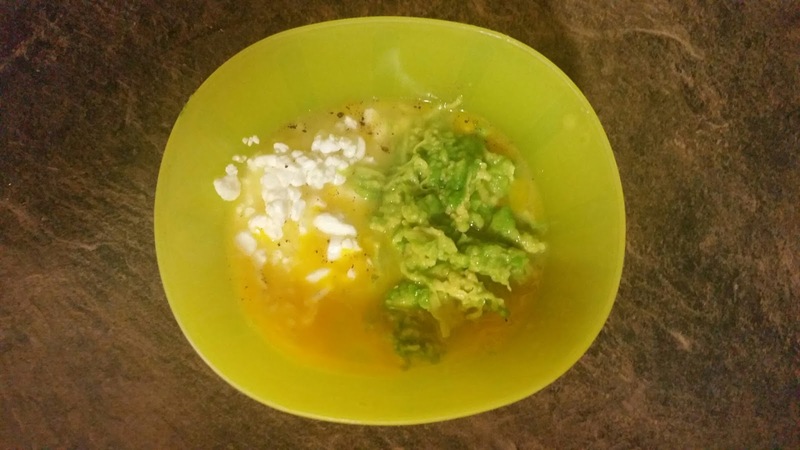 So, I keep experimenting with my breakfast recipes: to make them quicker and healthier. Beat one egg in a bowl, add 2 tbsp of cottage cheese (drain the liquid out) and grate or mesh avocado in. Add pinch of salt and pepper, mix well. Heat the pan at low-med, grease a little and prepare the omelet. Cook about 3-4 minutes and flip over, cook another 3 minutes and your breakfast is ready. 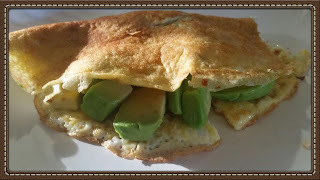 It is not only tasty, it is full of protein and good source of vitamin D.
Or you can make regular omelet, stuff with drained cottage cheese and chopped avocado. I like first method better as I can roll it like a burrito and drive to the bus stop with - it is like grab and go.